Make your home feel a lot more original and stylish by introducing this beautiful Teak Root Console Table Silver With Glass. 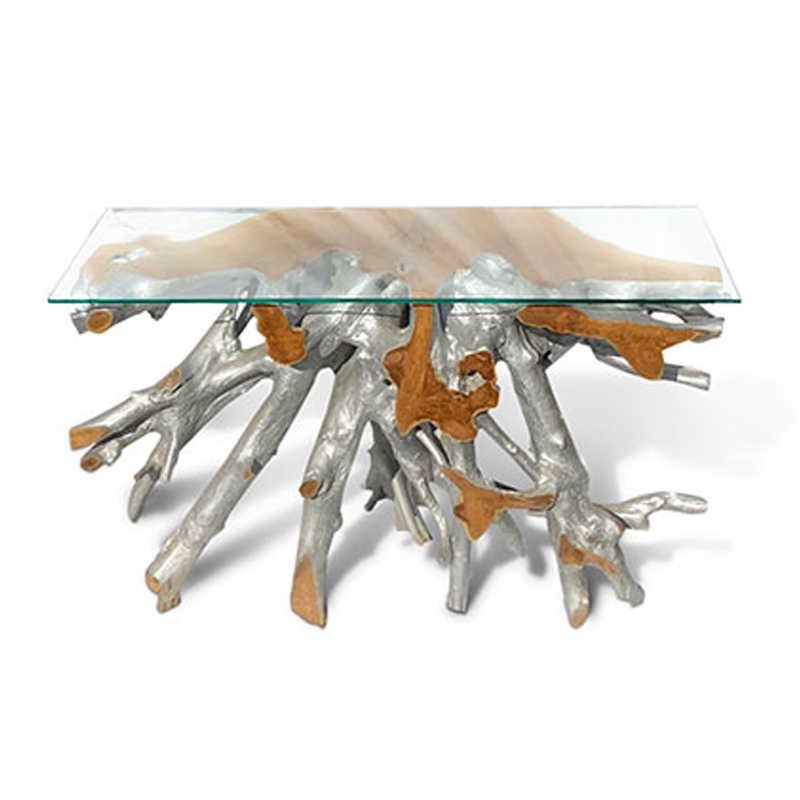 This piece contains a base that's created from teak root. The base is given a splash of silver colouring which adds to the modern design, as well as fitting in nicely with the glass top.